It’s been 20 years since Bhupinder Oberoi first stepped foot into his then-newly established optical business, Gladwin Optical. October 16, 1993 was a proud day for Bhupinder, as it was the beginning of a remarkable business. However, it wasn’t always easy for Bhupinder. His first few years in the optical line were tough for him as he coped with the typical problems of a new business. But he pulled through, especially with the help of co-owners (also brother and sister-in-law) Jaswinder and Parmjit Oberoi. Also working part-time at first, Bhupinder’s wife, Gurpreet Oberoi, officially joined the Gladwin Optical crew in 2001. Bhupinder first arrived in Canada in April 1990 and worked in a mill for three years. His friend suggested a career in the optical industry as he himself was in the business in Surrey. Now Bhupinder has a Master’s degree in Political Science and a Bachelors of Education from India. In Canada, he has studied for and is a qualified Optician and Contact Lens Fitter. He studied at the BC College of Optics in Vancouver. 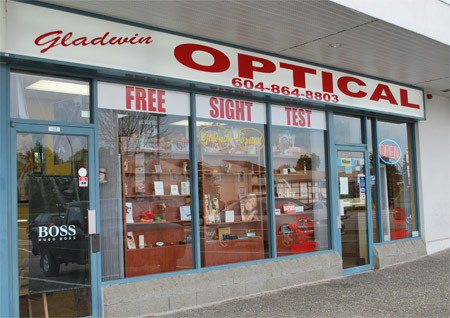 Now, Gladwin Optical is a very successful and well-known business. “Good service and honesty are the key to my success,” Bhupinder said. “Always give an honest opinion to your clients, never put down your competitors in front of customers,” he added. 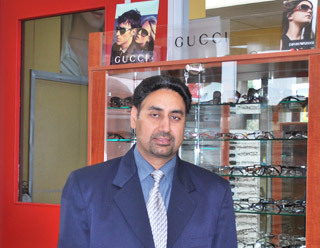 It is this good attitude of his that ensures that Bhupinder has no conflict of interest with other optical stores in the area, and it has taken him far in the business. When asked about his advice to youngsters reading this site, Bhupinder said, “Focus on one thing. Do not start one thing and then just quit. If you do anything, concentrate and put your full effort into it. The main thing is honesty.” This surely applies to other areas in life, too. Bhupinder participates in sponsoring many community events. Bhupinder's business is a family-oriented business, meaning that everyone is welcome. His family, including his two oldest daughters and nephews, also help him with the business. He has much support in this field and is grateful for it every step of the way.